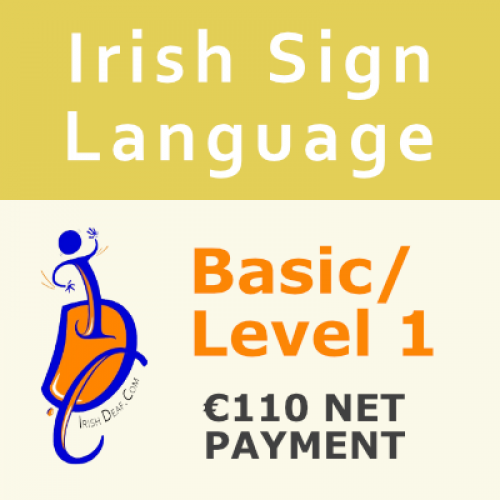 Net payment €110 (If deposit has been already paid). ISL Level 1 Continuing including three exams at the end of the course - Only for those who..
ISL Basic/Level 1 Course Irish Sign Language Course, Basic - Level 1 (6 classes) – starting ..
Full ISL Level 1 including three exams. You save if you apply for full course. The course will..